Meet the Peppers! No, not the hot spicy edible kind. 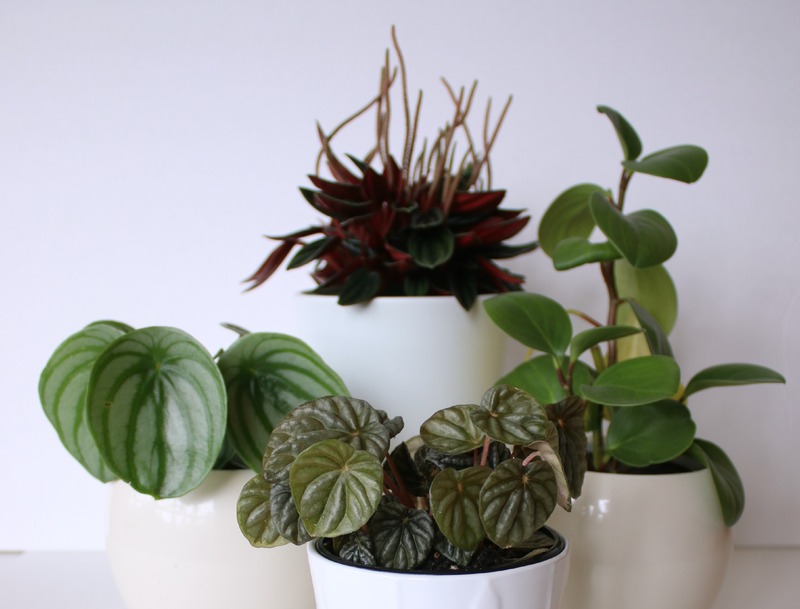 I’m talking about these ones…Peperomias. I became an accidental Peperomia collector without knowing. I spotted a few here and there, purchasing them because I was attracted to their leaves. I only later realised I had collected a few of the same genus. Now I have a “Pepper” family of four. Peperomia is a genus with about a 1000 species mostly from tropical America. There are both terrestrial and epiphytic forms. They form interesting flowers that can appear anytime of year and lasts for several months. They are fairly easy to grow as long as their care needs are met. With colourful red undersides and red tinged flower spikes, this variation of Peperomia caperata also called Emerald Ripple “Rosso” is the most attractive of the four. It grows compact and bushy. They are grown for their ornamental leaves although they sometimes produce small creamy-white flower spikes. This one is my second favourite – Peperomia argyreia. The shiny silver and green leaves remind me of watermelons, hence the name watermelon pepper or watermelon begonia. It has been quite hard for me to ID the peperomia pictured above. Is it green-ripple, another form of Peperomia caperata or is it Peperomia griseoargentea? There seems to be conflicting information. There is very little information on both types and I cannot seem to figure out what the differences are. This is when I wish plant labels would be more specific than just saying “tropical plant”. In any case I believe the care for them is similar. I rescued this from a plant store. The leaves looked poorly and hoped to nurse it back to life. The new growth seem to be darker in colour and healthy-looking. 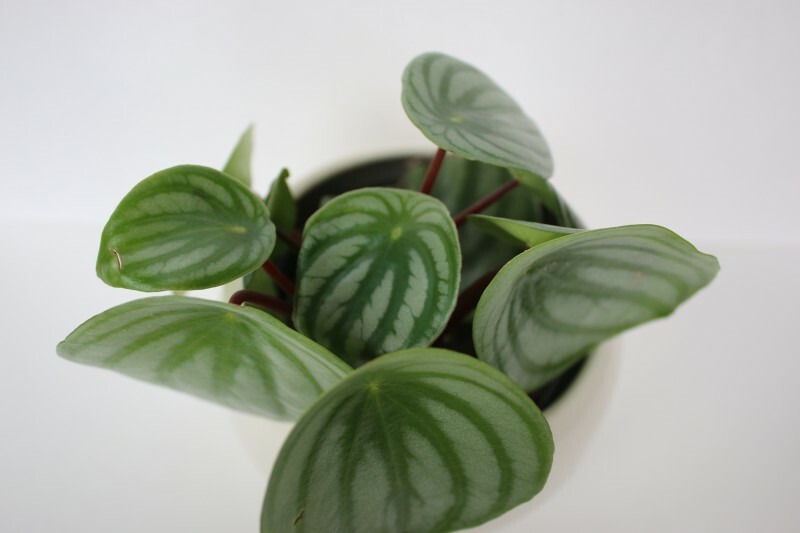 Peperomias have thick leaves which would fool anyone into thinking they are succulents. They actually love more water and high humidity than most succulents, making some of them great for terrariums. I have used this type of Peperomia in a small terrarium. This one is called the baby rubber plant aka Peperomia obtusifolia. 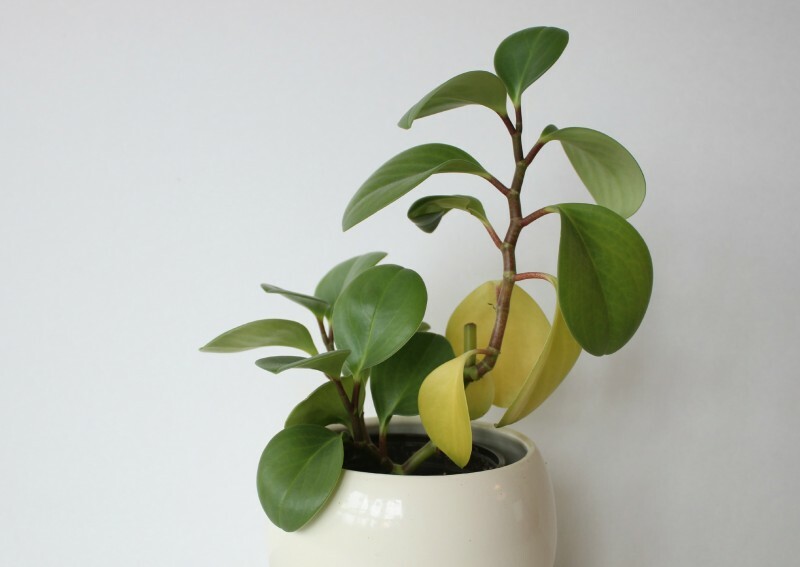 Some people buy the baby rubber plant thinking they will grow into the other Rubber plant –Ficus elastica. These plants are totally different and a baby rubber plant will always stay small and never grow tall. I received this plant as a cutting from a friend. I rooted it in water and it grew new branches and leaves in no time after potting in soil. I have had much difficulty with this one’s watering needs. I water it the same time I water my other peperomias but it appears to be struggling. As you can see, there are some yellow leaves which could signify too much water. They didn’t fall off however and so at some point I thought it was due to High PH. The stems are usually dark brown but if you look closely at the base of the stem with the yellow leaves, the stem is green. I have researched extensively on this and cannot find a reason why this happened. My friends who gave me this plant reported the mother plant doing that as well, where stems turn green and leaves become yellow. If any of you know why this is happening please let me know. Is it just due to over-watering? Or are the brown-turned-green stems part of the natural growing process? The leaves are also usually a darker green colour, however my north disposition causes a light green colour. *Sigh!*. Light: Peppers can tolerate shady positions but will flourish in filtered sun. Do not keep in direct sunlight. Temperature: Warm temperature is suitable to a minimum of 15oC. Keep away from draughts. Feeding: Feed from spring to fall every 2 weeks to a month with a general houseplant fertiliser using half the recommended dosage. Propagation: They are easy to propagate using stem tips or leaf cuttings from soft wood (succulent new growth of woody plants just as they begin to harden) anytime of the year. Root them in soil or water. The photo below is of a peperomia I rooted in water and after 2 weeks, there were many roots. So, are there any Pepper lovers out there? As you seem to be in need of (good) information in English (“There is very little information on both types”), you might want to try the Royal Horticultaral Society, https://www.rhs.org.uk/plants or directly https://www.rhs.org.uk/Plants/Search-Form . Unfortunately, on internet, they do not provide all pieces of information that is contained in their two-volume encyclopedia, but still, the RHS is the RHS. I have a couple of the ‘usual’ ones – obtusifolia and like you I’m having a bit of trouble with ID. I think I have Peperomia scandens, but I’m not sure! It was a ‘rescue’ plant too and it only came with a “Peperomia” tag! 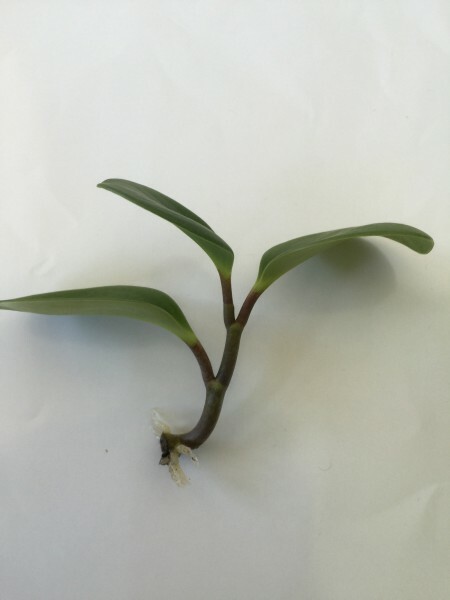 It has plain green, heart shaped leaves and reddish stems. At least we know they are some sort of Peppers 🙂 Peperomia conundrumfolia. Peperomia conundrumfolia! I like that! I laughed so hard when I read it! I’m definitely a Pepper lover! 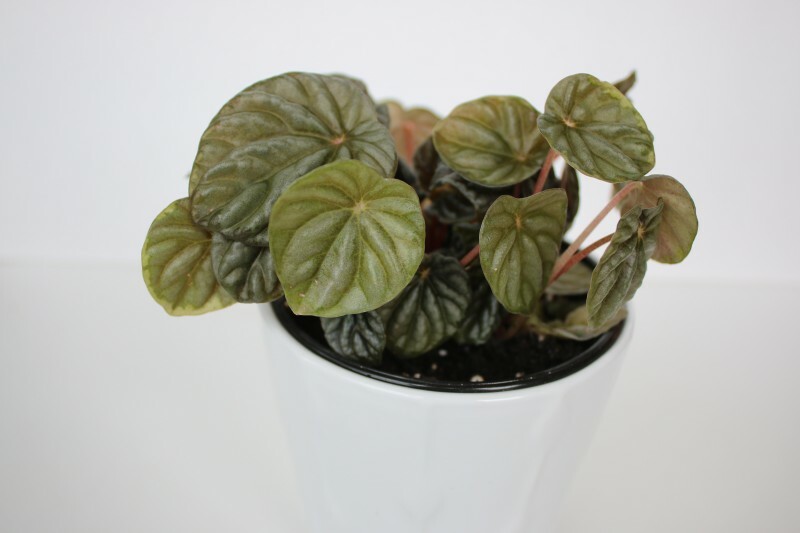 The watermelon peperomia is the plant that first piqued my interest in house plants – I saw it at the plant competition at the Canadian National Exhibition. I made it my mission to find one – and I did several years later. It is now my second favourite as well…second to the peperomia prostrata. For your baby rubber plant (peperomia obtusifolia), I find that they do well with very bright light. Mine sit in a south facing kitchen window and get direct sun for the morning hours. Perhaps your would benefit from more light? I have both the green and variegated kinds. I have been paying close attention since I prepared this post, when I come across Peperomia obtusifolia in garden stores. Now seeing yours has confirmed what I had been thinking and what you just mentioned that a north facing window just won’t do for this one. Yours looks very dark and healthy, while mine has a very light colour to the point where you can see the veins on some of the leaves. There goes another plant I can’t keep. Sigh! The other ones seem to be doing well though. The one i rescued is producing new flower spikes and the new leaves appear much darker than the old leaves, although they are a bit smaller in size. The Rosso continues to put out flower spikes as well so I assume it is happy for now. Great, Thanks! Will let you know the next time I’m in Toronto. Here, here! Although I just bought my first peperomia (deppeana), I fell in love with them in the store! There were many kinds of them, I remember they having at least the rosso-one you have. The deppeana I have seems to be thriving in the orchid terrarium, it has many new small leaves coming out! Had to google your Peperomia deppeana and I really love the trailing look. I don’t think I’ve come across one yet so thanks for sharing. It reminds me of the plant baby’s tears (Soleirolia soleirolii).